When your lawn is well cared for it not only keeps it radiant and beautiful continuously but keeps your compound neat and tidy. When summer gradually climaxed into fall, we usually think about this aspect of our home. We all love a beautiful and well-kept atmosphere which really is good for healthy living. So how well can you take care of your lawn if you have to start with it right now? If you’ve decided to do that, here are some helpful tips that would help along the way as you ensure a beautiful and well decorated garden for your home. To start with, you will need the basic tools for this job to be done efficiently except you have artificial grass to deal with. Since we are talking about grass cutting here, the lawn mower would definitely be the first of the equipment that should readily come to mind. A functional lawn mower is inevitable here as it’s going to be the major tool for any grass cutting service. Other tools that should be available are the rake, the irrigation system, the clippers and the edger. You may also need a hand glove for your protection. Now, let’s go to work. You are going to start as expected with your lawn mower you probably rented from lawn mower service Dublin but before then you need to do an initial raking of the lawn to remove some dead debris that may obstruct on the way as you mow. As you begin the mowing process, have in mind that mowing is best done in the morning and in the evening’s jus after sunset as recommended by professional lawn mowing services. Plants are living creatures and react to disturbances. When mowing is done during the sunny afternoons, it is likely to put the plants in shock with the surging heat of the sun. This may hamper good growth later. So, it’s not a good lawn care practice to do during the sunny periods. Also for the lawn mower handlers, it should be convenient to work when the sun is down than in the surging sun. Now that the lawn has been mowed, the next lawn care practice to be done is the hedges trimming. For this part, grass cutting service Dublin says it should follow after your initial design and ensure that trimming is done to attain that form. Yours may be a rounded design or a square depending on what you have for your garden. Trim the new growth till you attain your desired pattern. In your lawn care, you can further move around the garden, remove all dead plants and weed out all outgrowth you find around. For having completed the grass cutting and the trimming activities on your lawn, you should ensure you gather altogether by raking. Some may not see how this is necessary but it is really good you do this. Raking helps to bring out your lawn-care efforts. It keeps the lawn clean from all debris and leaves. After all and done, you should water the lawn and take note of the areas that would need water the most and concentrate more on them. The grayish areas would need more water. 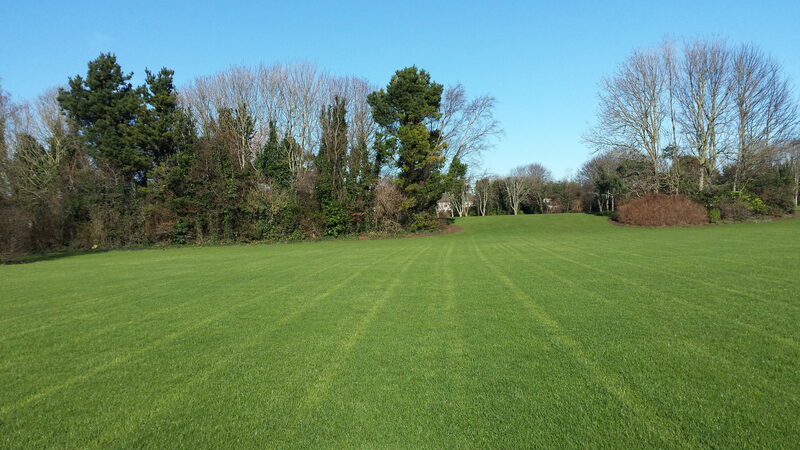 Now, doing the lawn care for small sized compounds may not have much to be done but with a professional grass cutting company, large compounds can be cared for with up to date facilities and care practices. It is always different when you have a professional touch for your grass cutting and care. You get more for your job at an affordable rate if you check the average rates or cost of grass cutting service providers. 100% Customer Satisfaction Guaranteed each job done to your complete satisfaction. High-end, specialised tools and equipment are used in addition to the best approved products. Our company is fully licensed and insured for all services we provide for you. 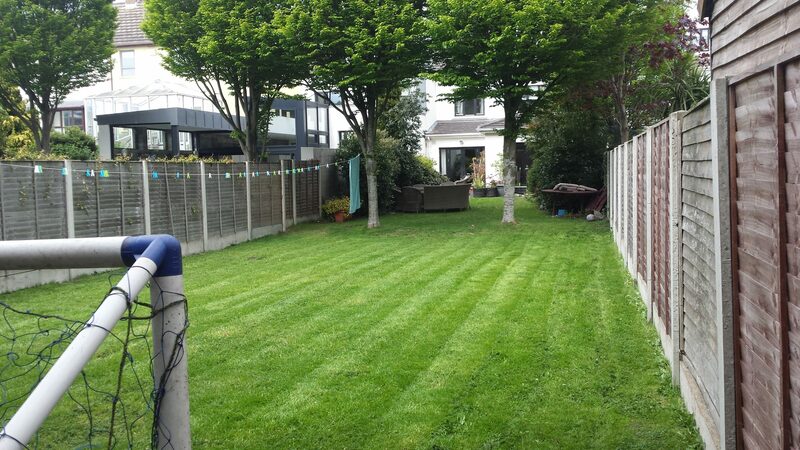 Dublin's and wider-Leinster’s preferred garden care choice with affordable prices and expertise. 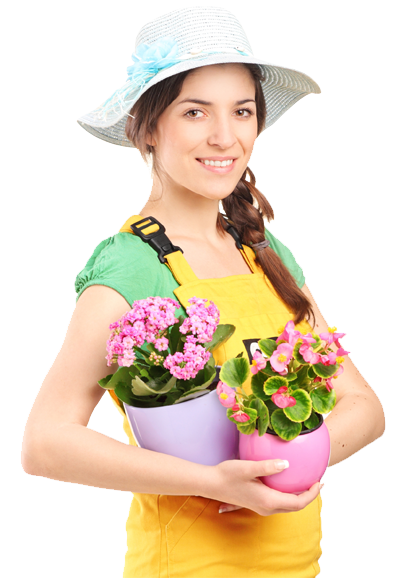 We provide a range of garden services which make us Dublin's favourite Gardeners. For Business : For Business inquiry fill our short feedback form or you can also send us an email and we’ll get in touch shortly, or Troll Free Number – 0876779191. Our specialists work at the highest level! Be happy with our work done! I have used Fantastic Gardens services for some years now, his work is fantastic and can turn hies hand to all exterior work. He is tidy, punctual and very hard working. I would have no issue recommending him and continue to use his services myself. Fantastic Gardens has been doing my garden for over a year now and I am always amazed at how quickly he can turn it around from an ugly overgrown space used by four children and a dog into to something really lovely in such a short time! Ivan is very hardworking, reliable, provides all the equipment needed and afterwards leaves the garden clear off all cuttings and grass! Its impressive! I have worked with Fantastic Gardens many times over the past few years. His eye for change is very good, his customer service and manner is excellent and his service is very affordable and great value for money. I would recommend him highly and without exception. Fantastic Gardens transformed my garden from a jungle to haven ! I couldn't recommend him highly enough. He got rid of all the overgrown trees and bushes, replaced the grass with gravel, laid a beautiful tiled patio area, build me a custom made shed, and painted the walls . As Fantastic Gardens worked tirelessly and doggedly - this was all done in just a short time. Ivan is a perfectionist and planned everything just the way I wanted it. I couldn't have asked for more and now I have a beautiful garden I'm happy to spend time in . If only he could do something about the weather !!! Have questions? Request a free consultation!